Identifying targeted, qualified research for a proposal you’re submitting. Blogging and marketing guest posts to promote your social media efforts. Keeping up with the constant stream of emails. Cleaning up your out of date CRM system and getting all your business cards and contacts entered. Question: Can a single VA help? Is there one person who is skilled in ALL of these areas and can manage all tasks and projects at once? Here’s the answer – you can hire a team of VAs! I work with a client in California who runs a medium sized property evaluation firm. When he approached Secretary in Israel, he expressed a need for support in many areas. As I interviewed with him, the conversation grew organically and we realized that the most financially efficient solution was to hire a team of VAs, managed by one person (that’s me, Susan). This way, he benefits from each team member specializing in their area of expertise, and doesn’t overpay for any of the tasks required. Our team of three part-time assistants consists of a data entry clerk, a scheduling and travel manager, and a content creator. Our client only has one person to contact – me, the Team Manager. Since I’m tasked with both management and delegation, he trusts me to assign the right task to the right person based not only on skill but also financial feasibility. That is, he is paying each VA hourly, at their level of expertise. As Team Manager, I monitor the assignments and if a problem arises, the team members work together to find a solution. In addition, I carefully monitor everyone’s time so that we can be sure that we are working within the client’s budget. With three team members all coordinating different projects, I decided that it would be beneficial to meet with our client once each week. After researching several online meeting formats, I decided to implement Google Hangout – it’s a free, user friendly tool that works consistently for all of us. Having a weekly “hang” is also more cost efficient for our client, considering it’s ultimately more time consuming for all of us to have conversations electronically rather than simply meeting “live” once weekly and getting on the same page. In addition, we use Sharepoint as a collaboration tool. I researched and recommended a skilled Sharepoint developer who set up the site for us and customized it for my client’s needs. Now, each project we work on gets its own site and each of us is assigned tasks that can be monitored as the project progresses. As Team Manager, it’s my responsibility to report progress, and to keep our client abreast of challenges. I am in constant in touch with my fellow VAs, so we can solve problems together and present the client with a meticulously completed task, in record time. We know that the client feels confident that we have his back – we are all available to him for last minute crises as well as long term projects, and with three of us, someone is always on call to answer. So, think about it – hiring a team makes sense in many ways, including cost efficiency. Best of all, it can relieve you of all of your administrative burdens with just one phone call. Want Your Work Done For You at 4am? Can Do! First, it’s easy to contact your Virtual Assistant. You don’t have to wrestle with Skype or be sitting at your computer. All of our VAs have American phone numbers, so calling her is as easy as calling your neighbor or any of your clients. You can call while stuck in traffic or standing in line at the bank. Don’t worry about the time difference – either you can install a FoxClock add-on to your browser or run an international clock on your iPhone so you always know what time it is in Israel, or you can just go ahead and call – if your VA is unavailable, she has voicemail! We have a luxury travel client (how jealous are we of his life?) in California. He’s an early-bird who begins his workday at 6am PST. Instead of spending the first two hours of his day weeding through his inbox, responding, prioritizing and corresponding, he wants to sit down to an organized list of the responsibilities he has for the day so he can begin accomplishing. Therefore, we matched him with a VA who has committed to spending 4 am – 6 am PST (2 pm – 4 pm Israel, don’t worry, we don’t make our VAs work through the night!) each day leafing through his ever-expanding inbox, responding to any inquiry she can handle (they have set up several templates and she has learned his business so she can manage many of the requests independently) and drawing out a list of the things he has to take care of personally. We began our relationship with a certain private equity firm in Chicago two years ago, and initially supported 4 of their execs. We now work with 16 of them with a four person team. When expanding the team and pairing a new Virtual Assistant with this client, we make sure that the VA understands the particular requirements of this client. Until 4pm CST, these VAs need to be ‘at the ready’ for immediate response and request turnaround. Not every member on our staff has that availability, so we are careful who we place with this client, to make sure that we are fulfilling the client’s requirements. We have worked with this MD client since the inception of our business and he resides on the West Coast. He was more comfortable giving instructions and delegating tasks via phone than email, and happened to be a night owl. Therefore, we needed to match him with someone who was available 6 days/week at 10 pm PST (8 am Israel) for a one hour phone call. Not the easiest match, but we did it and have worked with a satisfied client because of it for 4+ years! Case Study #4: My client sends me requirements at the end of her business day, and she needs the reports compiled by the time she wakes up. I don’t want to work at midnight anymore. Can you do the work between 10 pm and 2 am MST? This client is a crackerjack – she runs a market research firm and her clients send her requests at 5pm or 6pm daily. They expect the numbers logged, crunched and the reports on their desks by the time they arrive in the office the next morning, and she had been doing all this herself for several years. Sleep deprived, she reached out to us for help and specifically needed someone detail-oriented with heavy database experience who could commit to daily availability from 10 pm to 2 am MST (7 am – 11 am Israel). Not all our clients’ work is time-sensitive like this, but her business depends on it! We paired her with someone who is thrilled to have the consistency and has learned the database and reporting system inside and out. Our client has slept better in the last year than she had in the five years prior. As a boutique firm our clients are mostly small business owners and entrepreneurs who enjoy the advantages of working with “the small guy.” We know our employees inside and out, and most of them have been on board with us for years. We know what they can handle (not only their skill sets but their availability as well) so we can do our best to match clients with someone who is up for their requirements. We will also let our clients know if they have a provision that we simply cannot fulfill. Yes, there are things we do not handle and we are comfortable being straightforward if a client’s request is not something within our core competency, or if the required hours are simply off our radar. Why do we turn away or refer out work that is not the best fit? So that we can ensure the work we do preform is done to 110% of our capability, always. Go ahead, contact us and find out if we can help you, too! No, I don’t work for DropBox, but perhaps I should. I’m a big fan. I can share all of our firm’s information within the company and to our vendors (my assistant, my tech guy, my accountant) and I don’t ever have to SEND anybody anything. I don’t deal with attachments anymore. I simply grant access to the appropriate recipient, and literally drop it right into DropBox. Everybody has what they need to do their jobs, and it requires almost nothing of me – we don’t send drafts, updates or emails around anymore – no need. My favorite part: it’s FREE. Seamless time documentation and billing – what could be better? I know that there are hundreds of software packages designed to log time and send invoices, but I have done a lot of searching for the right tool, since our business bills hourly. I need to identify, pay for, deploy and manage a web-based system for all of our employees to document exactly what they’re doing for each client and how long it took. I also need to make sure that this information was available in real time to each of our Virtual Assistants, to the client, to our payroll clerk and to me. In addition, billing needs to be self-explanatory and quick. Found it, use it, love it. This one tool has made business faster, easier and more enjoyable. I did not go into the Virtual Assistant business because I love (or am good at) contract negotiation. Using EchoSign, I can save several versions of our contracts and send them out on demand, from my phone. Again, I hate attachments and I’m pretty confident that my clients hate them too. Are we so dated that we are continuing to print, sign, fax and return paper documents? My insurance company seems to think so. Me – no way – our clients receive their contract electronically, review it, sign it, return it and everybody is happy in less than 5 minutes. Although it sounds simple, think for a second – how many times have you wanted to call someone who sent you an email or left you a message, only to search through weeks of correspondence and perhaps your CRM tool just to identify their phone number or official title? Put your contact information (and not just your phone number, I’m talking about your website, Twitter handle, blog, the works) on Every. Email. You. Send. It’s the most effective marketing tool you can use and it’s so easy. The reason I especially love WiseStamp is because our Virtual Assistants are often balancing 3-5 clients each, and obviously require a different signature for each client. Ashirah, for example, can send an email at 10am on behalf of her comparative oncology client for whom her signature indicates “Research Assistant” while at 10:15, she is sending another email on behalf of her sales training client where her signature needs to indicate “Marketing Manager.” Each of her unique signatures list not only her contact information but her client’s marketing material. She can switch back and forth between them at the touch of a button, saving her time, and our client money! I hate checking voicemail – the blinking icon mocks me. That doesn’t mean I don’t need to be consistently available, not only to our employees and clients but also to our vendors. I’m sure the same goes for you. When I’m in a meeting, I want to give a client 100% focus and avoid the “next best thing” syndrome, so I put my phone in my bag and turn it on silent. The voicemails begin to stack up, and I dread sitting on the phone jotting down information on which call to return and to whom I need to delegate these responsibilities. PhoneTag not only transcribes all my voicemails to email (which I can simply receive on my phone) but because they are then electronic, they are forwardable. I can simply send the email to my assistant with a note that says “Please get back to Jan at Borek Organic and get her requirements; I’m available to meet with her on Tuesday.” The voicemail has been “listened to”, dealt with, delegated and filed, all from the back of a cab. My motto – Do Less, and Do it Faster. These tools have helped me immensely in achieving this goal, which is not easy for a Type-A, overachieving control freak. But hey, I’m working on it. I don’t think he even took a breath during that entire speech. Disorganized, long-winded and exasperated? Great. Our bread and butter. Most important: The Ability to Dump: We established a free local NJ phone number for David to call which can receive voice messages of unlimited length. Every time he leaves a client meeting, he now calls that number from his car (while on his way to the next appointment) and does what we call a “verbal dump” into the voicemail. This includes a description of his new client, contact information, the client’s needs, the contract specifics that need to be sent, the follow up and correspondence to be performed. He types nothing, writes nothing and sends nothing. His Virtual Assistant retrieves those messages twice daily and performs every piece of follow-up digitally and diligently. No more late-night admin work for David. Documenting Business Process: David had not given much thought to exactly what pieces needed to be filled out, filed, requested and managed to onboard a new client, since it was a family business he had inherited from his father, and it had grown organically without much technology involved. His Virtual Assistant spent a great deal of time with him via phone that first month (he is in the car for hours at a time, and loves to talk) interviewing him about what steps are required and in which order, to onboard a new client. She then documented each of these steps so that nothing is left to chance – they both now have several documents detailing the process, who is responsible for what, all subcontractors and vendor information, what the next step is and every detail of the protocol. No more disorganization. Digital Filing System: After learning intensively about David’s process, his VA created a digital filing system for them to share. Although he doesn’t often access it, he certainly can, and every template and contract is now available day and night to both of them. Alternate Resource for the Clients: He is no longer a one-man-show. His VA set up her own email address at his domain, added a line both to his digital signature and hers with her American phone number, and when it came time to order David new business cards, his VA added her information there as well. Now, clients can call her! On-Hold: David’s Virtual Assistant realized quickly that he was also spending a lot of head space taking care of personal errands – calling Verizon, sitting on hold with the cable company, requesting copies of medical records for his kids’ camps. She championed these responsibilities as well and now acts as his Personal Assistant, managing his honey-do list. CRM Since there was no system in place to manage business development efforts (not even an Excel spreadsheet) we researched, selected, deployed and now manage a low-cost, web-based CRM solution for David. Every client contact gets logged, every phone call and every visit, next steps, reminders for future reach-outs. All David does is speak into the no-limit voicemail, and the CRM is continuously updated oh his behalf. A Daily Call at 4:30pm EST – Our general practice is to send a Sunday Summary each week, detailing what has been accomplished that week and how much time it has taken. David, however, does not want to read yet another email, so that strategy does not work for him. Instead, since he’s phone-based and spends so much time in the car, his VA simply calls him every day at 4:30pm, when his day is supposed to be winding down, and quickly gives him the skinny. She lets him know what has been accomplished that day, and then ‘coaches him’ (his wife’s words, not ours) on finishing up and getting home within the hour, since she has already taken care of all the administration for him. David has more mental freedom, more time and more patience for the things that really matter. Doesn’t everybody want that? While Google calendar (or whatever calendar program you are using, including your CRM tool) will inevitably remind you of upcoming events, we have found that people still very much appreciate a quick personal reminder, especially if the meeting is offsite or not recurring weekly. With over 40 Virtual Assistants confirming 100+ client appointments every day, we have perfected the confirmation. Please feel free to use ours! (By the way, by utilizing a technology like Boomerang, our clients’ clients are often unaware that we are sending the reminder from across the globe.) We have the capability of sending this (or any) email during our business hours, and have it arrive into the recipient’s inbox during their business hours. This way, our clients’ clients don’t think you are a slave driver and working your assistant at 3am! This is a courtesy email to remind you of your meeting with Jennifer Rodriguez tomorrow, June 2nd at 11am EST. The two of you will be meeting at the Starbucks on 76th and Lexington, Southeast corner. It is accessible via the 4, 5 and 6 trains. Jennifer’s cell phone number, just in case, is (917) 441-8977. Could you please email me your cell phone # so that Jennifer can have it with her, too? If you have any questions, please feel free to contact me; I would love to be of assistance. What Do I Outsource, and What Do I Keep? Let’s say that you run a boutique video editing firm for personal (wedding videos, etc.) and promotional (marketing clips, infomercials, webinars) video clips. You love editing video, you’re good at it, and that’s why you made it your business. What do you do not love: accounting and marketing. Doesn’t it make sense to hire an accountant and marketer, while continuing to edit video, the reason you got into this business in the first place? Just because you love teaching yourself new tools to do your job faster and more precisely does NOT mean you know anything about social media, blogging or self promotion. Just as you would hire a lawyer to represent you in a legal matter, you would be smart to hire someone well versed in marketing to promote you. This is the first category – find a Virtual Assistant who is good at things you are not. Your professional To Do list is permanently growing – you’re supposed to research and identify the best vendor for your new business cards, letterhead and promotional materials. You have your logo ready, but you hate research. While you’re researching that, you may as well sit on the phone with Verizon to find out why they’re overcharging you, but you cannot bear the thought of having to deal with them, nor can you handle identifying an alternate phone provider – what’s the best deal out there for you, what makes the most sense based on your requirements, and what is the hassle involved in switching? THIS you outsource. It has to get done, it’s annoying, and you don’t want to do it, so it just sets up camp on your To Do list. Believe it or not, there are people who love performing comparison research – these people are Virtual Assistants as a career choice. In the best case scenario, you are so busy that there are things you simply cannot get to. The smartest thing to do is to keep all of your sales development activity in a CRM solution – in fact, your brother-in-law recommended and installed one for you. You have never updated it – you are too busy signing contracts and doing the work to document any of it. This is the perfect opportunity to outsource a responsibility – it’s not that updating the CRM with all of your contacts, potential business and relationship building is torturous or difficult – you simply do not have the time to attend to it. THIS you outsource! I walk potential clients through these three categories of outsourcing and they are often amazed –not because I’m a genius, but because these hard and fast rules seem simple and easy to follow; it just didn’t occur to them. That’s why we’re here! Scheduling client calls, which happen a few times a week and involve several moving parts, is a perfect task to outsource to my Virtual Assistant. She knows the time of day I prefer to schedule my calls (mid-afternoon EST, please!) and that I like to receive a reminder email and calendar invite. She even emails all participants one hour before the call to ensure that there are no last-minute cancellations. All I need to do is pick up the phone to speak to clients (something I LOVE to do), as my Virtual Assistant has done all the organizational work! Can your Virtual Assistant snail mail a physical letter for you? Amazingly enough, yes, via MailALetter.com. The company is based in New Jersey, and accepts both MS Word docs as well as PDF’s – we simply upload the appropriate document to be mailed, and MailALetter will print it out (either in black and white or color, your preference) and send it anywhere in the world with a New Jersey postmark. Not only will they send it out for $.99, they will print your logo (in color) on the letter, and if you want them using your letterhead, envelopes or stationary, just pop it into the mail to them (once) and they’ll use that too. One of our clients got so fed up with the piles on his desk that he simply took 15 minutes, sat down with his iPhone and took a picture of each piece of paper on his desk, emailed each one to his VA and then awaited instructions. His VA downloaded and dealt with each paper residing on his desk, followed up with the paper initiator, communicated what needed to be taken care of, created an electronic filing system for him via DropBox, and sent him an email for each piece of paper that said “Done and filed!” Then he very unceremoniously dropped each of the papers in the garbage and crossed them off his list. Permanently. 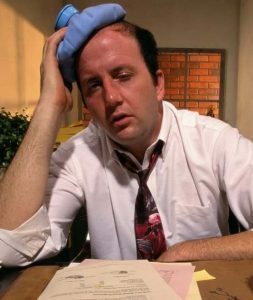 We have another client who is a bit allergic to email – it makes him nervous. He is married to his fax machine instead – ok, we can work with that! Each of our Virtual Assistants has both an American phone number and an American fax number. When he receives snail mail, he doesn’t even read it anymore – he just slides it into his fax machine and his Virtual Assistant receives it via email. She takes care of any follow-up required, and files it away for him. When possible she also transfers accounts to e-only billing, notifications etc. Each bill and notification is emailed directly to the client’s Virtual Assistant to handle, no paper reaches his desk! Not only does he not have papers in a mess (which, in fact, his wife actually called to thank us for) but he has mental space and time to breathe. Can your Virtual Assistant send all of your clients personalized holiday cards? Not only can she send them, but it’s exceptionally fast and easy for her to send the right people the appropriate card at the correct time. Most likely, some of your clients prefer Christmas cards, while others would be more comfortable with Hanukkah cards, and still more would appreciate Happy New Year cards around holiday time. You know your client roster inside and out, and within about a month of establishing a relationship with her, your VA will know them too. All it takes is 10 minutes on the phone to specify which client should receive which greeting. She will document this information for next year, so you only have the have the conversation once. Your Virtual Assistant will then establish an account at SendOutCards.com. Yes, you need a referral code to get an account – don’t worry, we have one! They have thousands of greetings to choose from, you can say anything you want (and each note can be different) and any font can be selected, including cursive handwriting with your scanned-in signature. The challenge of bridging the gap between being physically present and working virtually is OUR responsibility, not yours. Both potential and current clients reach out to us all the time and ask how to accomplish something virtually – if we don’t have an answer, we find one; ultimately saving our clients time and effort, allowing them to focus on the tasks needed to grow their business, while we handle the rest! Are You a Nightmare Client? I know. Businesses are supposed to love, honor and obey all of their clients, all of the time. But you live in the same reality I do, and we both know that there are some clients that can be called a “good client” and some that get the title “nightmare client”. The nightmare clients are the ones who change their requirements or direction in the middle of a project. The ones who “lose” your invoice time and time again. The ones who disappear halfway through an initiative, suddenly not returning phone calls. As much as political correctness and some business wisdom would dictate that we should accept all clients who approach us, we actually do not. I don’t like nightmares, they keep me up at night. Not everyone can be successful with a Virtual Assistant, and as a small business which has worked exceptionally hard to earn and keep a reputation of delivering consistent value, we want to work with clients with whom we can be successful. Not everybody is ready to bring an assistant on board. So, what makes you a good client for us? 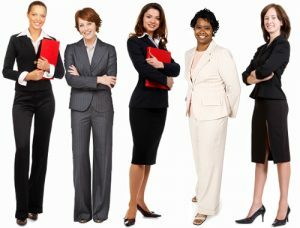 Ability to delegate: Why would you want to hire a Virtual Assistant (or any assistant, for that matter) if you’re not comfortable delegating the work? Certainly, there is a process to establish and earn confidence in your staff – I get that. It takes time and there is always a learning curve. In fact, we often encourage new clients to build up what they’re outsourcing slowly, over time, so that they can feel more and more comfortable empowering the VA with additional responsibility as the relationship progresses. But if you know yourself to be a control freak (I happen to tend this way myself) it is unlikely that you will work up to successfully handing over enough of your tasks to make a dent in your life and free up your time. That is a losing situation – you get frustrated that you’ve invested training time but don’t ultimately end up with more freedom, and the VA gets frustrated that the work doesn’t appear. She is left wondering if she has disappointed you, and it’s not a winning situation on either side. Can you really delegate? Have you worked with an assistant before? Did that experience go well enough to encourage you to do it again? Know Thyself: Clear business strategy and direction: Do you know where you are now, what your goal is, and your strategy for getting there? Do you have a business plan? A launched product or service? We can be most productive for a business that has a clear plan. If you are toying with the idea of launching a product, but do not know who might be interested in purchasing such a product, how to get it produced or your strategy for marketing it, you are not ready for a VA. If you have heard about social media and want to give it a shot, but you sell truck parts B2B, social media is probably not your best marketing tool. A client who knows what he wants is ultimately the happiest client, because he gets it! 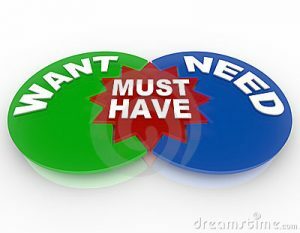 Reasonable expectations: Everyone wants an excellent deal; that’s why people educate themselves and comparison shop. We provide a fantastic service at a very competitive cost, but if your expectations are not reasonable, we (and everyone else) will fail you. Researching, planning, executing and managing a social media campaign from scratch cannot be accomplished in 3 hours/week. Quality blog posts cannot be produced in 30 minutes. We will do an excellent job and most likely exceed your expectations, but let’s hammer out how long things should take before we begin working together. It behooves us to manage your expectations (that’s my job!) and it behooves you to come to the table knowing that tasks take time to complete. Commitment: The first through the third date are really just interviews, right? It takes a while to get to know the person you’re having dinner with well enough to lay down your guard and be real. 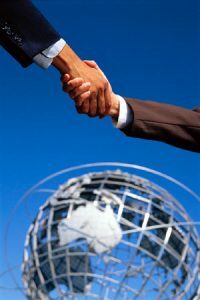 Professional relationships are strikingly similar, and there is always a learning curve at the beginning of any client-VA pair. Therefore, considering the initial time and effort investment put forth during the first month, it makes the most sense to view this relationship as long-term. Certainly, we have structured our business in a way that does not require any long term commitment (you do not sign a contract for a specified period of time and there are no fees to cancel.) That said, the most productive relationships are those which benefit long-term from the VA’s familiarity with you, your business, your clients, your product, your market, your style and your preferences. Ultimately, the question may not be “Is the Virtual Assistant ready for you” but rather “Are you ready for the Virtual Assistant?” If so, let’s talk! We live in a time when the term “value-added” has become a buzzword in many professional sectors. 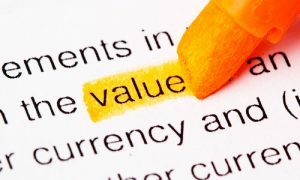 Add the adjective “value-added” to any proposal, and it’s supposed to instantly demonstrate return on investment. The question I wish to pose, and hopefully shed light upon, is how value can be added to the professional relationship between a Virtual Assistant and a client: Value in a Virtual World. The marketplace for professions, industries, and products is now global. Most transactions today occur online. We know that “it” is out there, and we fume at “it” when an email or file mysteriously disappears, but “it” is still difficult to define. How does one add value to that which is intangible? I believe the key factor is found in how a Virtual Assistant builds and maintains the client relationship. At Virtual Assistant Israel, relationships are tangible building blocks of our success, both with our clients and as an internal team of professionals offering a multitude of services in a virtual environment. We are not just “Virtual Assistants”; we are Executive Assistants, Marketing and Communications Assistants, Copywriters, Ghost Bloggers, Event Planners, Personal Assistants and Social Media Strategists. The art of a “value-added” client-Virtual Assistant relationship is in the fine balance between professionalism and personal touch — the added measures the Virtual Assistant takes to ensure the quality of her work and the satisfaction of her client. These elements create a Virtual Assistant’s professional signature. The underpinning of any successful relationship, personal or professional, is communication. Clear, timely communication shortens project turnaround time, improves accuracy, enhances public relations and marketing endeavors, and can avert potential problems. Communication between a Virtual Assistant and her client must be sensitive to each client’s work environment, style, preferences and hours. Some clients prefer to stay “all business” and the Virtual Assistant not only needs to recognize that, but mirror it – part of the job is to make the client comfortable and work within his or her preferred style. Some clients are night owls and want to speak very late – they feel most creative at those hours for brainstorming sessions. There are still other clients who are children of the dot-com age and are most comfortable calling their Virtual Assistant “dude.” We need to go with that. Good communication, adaptation and planning have the power to build bridges of trust between individuals — a definite added value when you consider that a client and his Virtual Assistant are often on separate continents, not just in different cities. Conscientious cyber-communication can dissolve distance. Time zones are another matter. In the cyber-office of the Virtual Assistant and her client, the VA’s clear awareness of time zone differences is crucial. 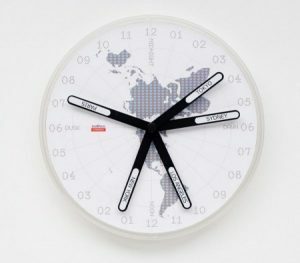 A Virtual Assistant may have several clients, each in a different time zone. Deadlines and conference times are important. If they are not carefully recorded and flagged, frustrating and embarrassing oversights are possible. Competent Virtual Assistants don’t just multi-task, they multi-time, and they are adept at keeping track of their clients’ appointments and commitments. The timely completion of a task or delivery of a service is of great value to a client. Likewise, when a client knows he can depend on his Virtual Assistant calling in on time or being available for contact during specified hours, it is a professional courtesy of tremendous value. Tying all of the above together — relationship, communication, adaptation, timeliness — are the cords of forthrightness and flexibility. Candor lends itself to productive communication, including straightforward, frank assessments of what is possible and within what timeframe; honest, timely advice based on professional expertise; empathy for those inevitable times when a client is having “a hell of a week”, and advance notice of potential interruptions in normal routine. Some find it astounding that virtual work environments are as effective and popular as they are, given the many factors inherent in these long-distance relationships. It’s not as if one can walk down the hall, knock on an office door, and ask to have a few moments of another’s time to clarify a misunderstanding. Notwithstanding the potential pitfalls, the Virtual Assistant profession is hugely successful, rewarding, and growing rapidly due to the quality of the assistants available and resulting satisfaction of the clients. Flexibility is one of the cardinal values a talented professional Virtual Assistant will champion. Given time zones, distance, and close-yet-far communication channels, it is imperative to strive for both flexibility and patience as Murphy plays his inevitable hand from time to time. What defines value varies from product to product and service to service, but the conscious development and maintenance of honest, flexible, and caring client relationships undergirded with regular and clear communication, time sensitivity, culture and style adaptation, forthrightness, and flexibility can be unequivocally deemed “excellent value” 99% of the time. As a former Service Excellence Consultant prior to my relocation to Israel, I was delighted to find that such ideals are core values at Virtual Assistant Israel, and I feel privileged to be on their team of professional Virtual Assistants. Efficient use of your inbox will save you money in more ways than one. An overburdened email stash consisting of mass mailings, newsletters, client correspondence, press invites and personal chit-chat is worse than just an intimidating mess – it is certainly wasting your time and could even be losing you clients! Fortunately, an organized Virtual Assistant like myself can turn this online dogpile into a direct task list for both of us. To begin to quash that dragon called Overwhelm, I begin by creating a listing of what really is coming in. There will most likely be entries both of personal and business natures, individually-sent emails and mass mailings, back-and-forths from old clients and inquiries from potential new clients… a catalog that is far less intimidating when spelled out. 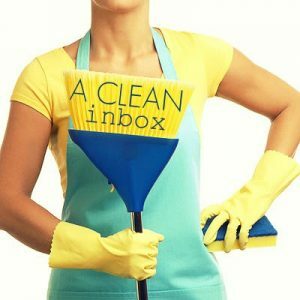 As your Virtual Assistant, my next priority is to create your inbox filing system. I open each message, create appropriate and logical labels based on how you do business, and fill the necessary folders. The labels and folders will vary from client to client and via my conversations with you, I quickly become attuned to your specific needs. While one client may wish to cease subscription to all mass-mailings, even field-specific, another client may feel more comfortable stashing these newsletters in a folder to be perused at his or her leisure. Most important is to make sure those incoming client emails are easy to see and quick to find. They are your income and as such, shouldn’t be getting lost in the shuffle. Once I have squared away all the groundwork, your virtual inbox is neat as a pin and ready to go. We then hit the maintenance level. (Do I hear cheers? I should!) This is where you (client) and me (Virtual Assistant) work together to keep this area clutter-free. Work out how often your Virtual Assistant should weed through your inbox, assigning each item its proper folder, starring items that need to be dealt with right away. These can even be color-coded, in some programs, delineating one color for the client and another for the VA. Once an item is taken care of, it is neatly banished to its folder, and the dragon, Overwhelm, has been put to rest.